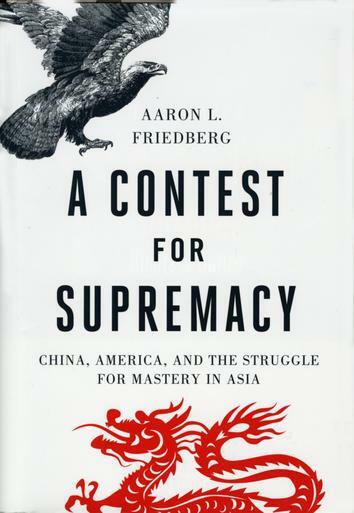 After receiving a high recommendation on this book from a contact for whom I have a good deal of respect, I read Aaron L. Friedberg’s “A Contest for Supremacy: China, America, and the Struggle for Mastery in Asia.” When I shared the title of this book with others, I got many raised eyebrows – questioning my choice. I will admit that the title seems to refute my goals of objectivity and cross-cultural understanding. It is for this reason that I would like to provide some background information that played a role in my thought process in choosing this book. I have a great deal of respect for the Chinese people, language, and culture. This can be seen in the amount of time I have spent dedicated to learning more about China during undergraduate studies. I took an entire year of introductory Mandarin Chinese language– which meant one hour of class time each day, as well as at least one to two hours of preparation each night. Needless to say, all of my class notes (regardless of subject) from that year contain the never-ending doodling of Chinese characters. I also took a month-long Chinese culture course (several hours each day) where I learned how to cook traditional Chinese food, started practicing the ancient art of Tai Chi, and researched topics relating to law, economics, and music. As an extra-curricular side-note, I will mention that I was also a founding member of Wofford College’s Chinese culture club, Terrier Dynasty. Through my undergraduate studies, I have gained a very positive view of China and its cultural contributions to our modern world. I have been lucky to encounter and make several life-long friendships with people from China in both the United States and abroad, who have been willing to share with me about key issues facing their country today. I have engaged in extensive conversations with Chinese nationals about issues such as territories in the South China Sea, the Great Leap Forward, the Cultural Revolution, nuclear programs, Tibet, Taiwan, corruption in government, rifts within the communist party, foreign relations (in particular, relations with North Korea and Pakistan), religion, and the One-Child policy. I feel lucky that they trust me with their thoughts about these subjects and I always work hard to be an enthusiastic and encouraging listener – even if I disagree with what they are saying. On the other hand, these conversations have exposed several differences between the United States worldview and the Chinese worldview – differences that are not impossible to overcome, but can certainly prove to be problematic. Having completed a government course in December entitled International Conflict, I saw this book as a perfect post-exam continuation of my studies. I realized that I could continue developing my interest in this subject by reading about potential conflicts that could arise between great powers in the future – namely, the United States and China. In my opinion, the only way to avoid conflict (i.e., maintain peace) is to acknowledge, understand, and come up with solutions for the situations which can erupt into conflict. The author states that, “Even if great-power war is a thing of the past, great-power rivalry certainly is not” (page 39.) The purpose of this book is to offer an introduction to the rivalry which has erupted on the Asian continent between the United States and China. It begins with a brief history of Sino-American relations – how an international partnership between the People’s Republic of China and the United States was established and the reasons why. The book then discusses the recent strategies of the United States to curb the growing power of China. Finally, the book hypothesizes about the future and the ways by which relations between these two countries might develop. I have yet to sit through an economic history course which does not address the Industrial Revolution in the first week. Similarly, this book poses the question, “Why did the Industrial Revolution happen first in the West rather than the East?” on page 11. The author brings up the Industrial Revolution because it set the East and the West on separate paths and created a discrepancy which can be felt even to this day. 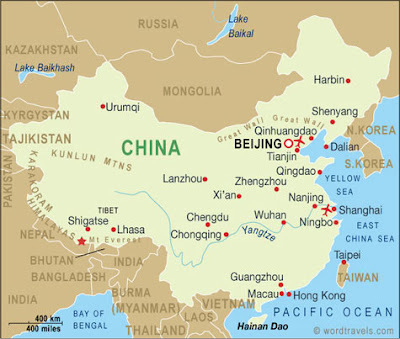 Needless to say, the fact that China has regained its empire (which was slowly dismantled during the time of the European arrival to Asia) plays a huge role in today’s world – a source of pride for the Chinese people and posing the question to the Western world whether China would like to further expand its territorial empire. Another factor associated with industrialization is China’s rivalry with Japan, a country which industrialized more quickly than its neighbors and built an extensive empire on the Asian continent which was only dismantled following World War II. The Korean War: “Any possibility of an early-opening to China was swept aside within months of the start of the Korean War” (page 63.) Truman made the decision to come to South Korea’s defense in the Korean War, leading to the United States troops fighting on the Asian continent. The Chinese viewed this as a threat, and during the Korean War, the United States and Chinese troops engaged in direct fire – obviously leading to a worsening of relations. Great wall of china is a famous book,from it learning chines is so much easy.